Men’s Black Stainless Steel Ring With Blue Jewel Center | BUDK.com - Knives & Swords At The Lowest Prices! This handsome Black Stainless Steel Ring looks great on any man and enhances any style or wardrobe. 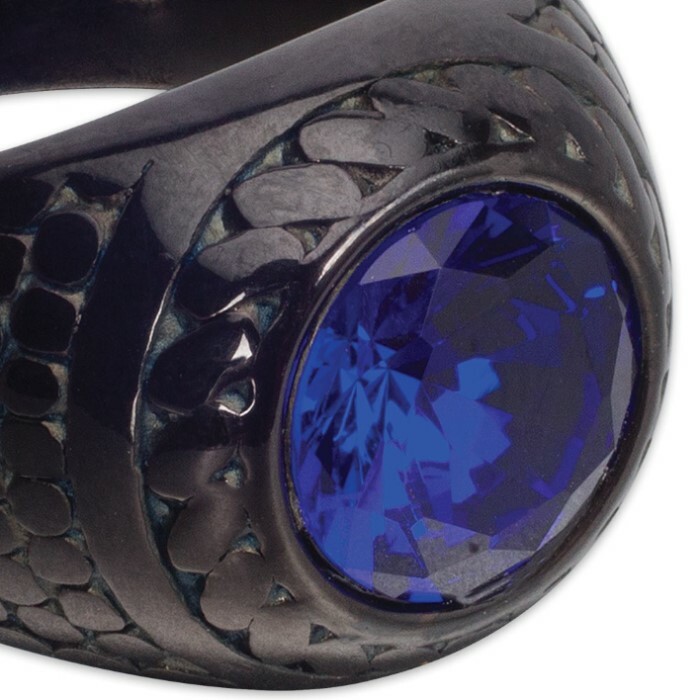 It features an elegant sapphire blue jewel front and center, set amidst of a sophisticated rosette. A cool ridged pattern radiates from both sides of the jewel onto the black band, before terminating into two simple lines that complete the loop. Its stainless steel construction has a sheen and durability unmatched by more traditional ring materials - precious metals, ceramics and more. This ring is truly forged for a lifetime of vigorous wear, so you needn’t fear damage while working on a car, performing carpentry and other hands-on work. Available in sizes 9-12, we’ve got the perfect fit for any man. 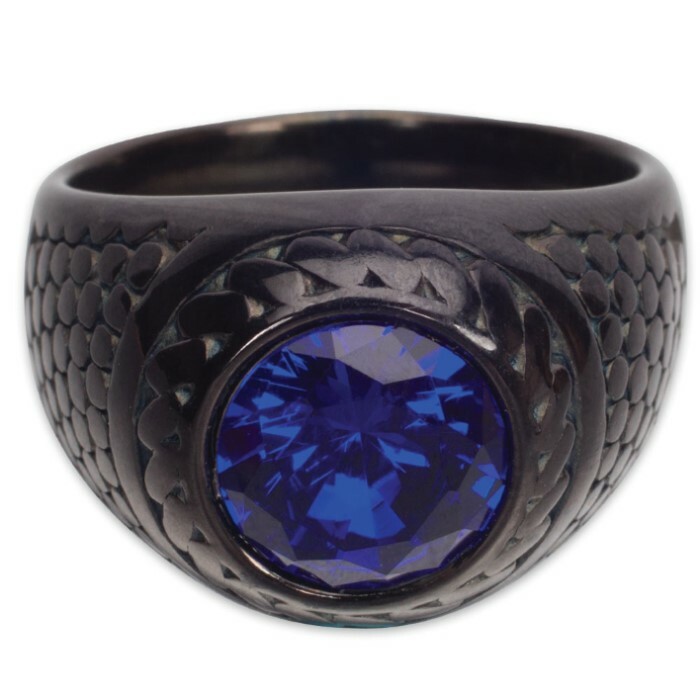 The Men’s Black Stainless Steel Ring with Blue Jewel Center makes a fantastic gift, and you won’t find a better price on high quality jewelry like this anywhere else.